The refined rustic design features all-natural materials—stone, metals and reclaimed woods including barn siding, hand-sawn timbers and oak planking. To draw attention to the more than 75 draught beers, a central island with beer taps serves as the focal point of the interior bar and dining area. 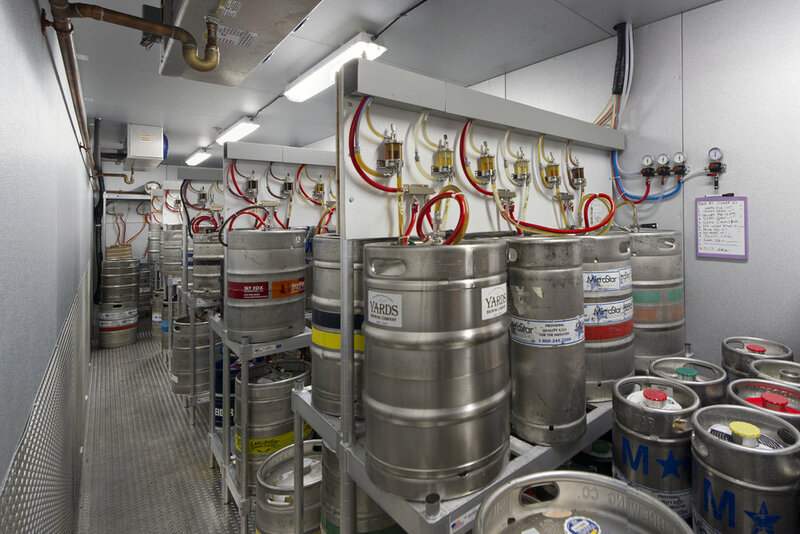 Exposed conduit running from the “tap” island to the keg room further highlights the variety and freshness of the beverage offerings. The refined rustic design features all-natural materials—stone, metals and reclaimed woods including barn siding, hand-sawn timbers and oak planking. 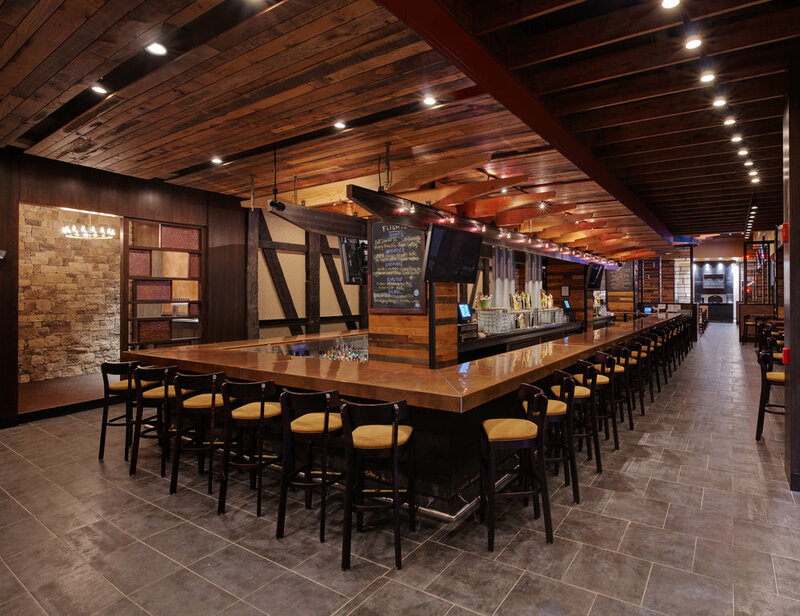 The interior space includes a dual-purpose lounge serving as beer tasting room and private party area; a spacious dining area with high ceilings and a feature “wagon wheel” canopy constructed of metal and timber; and an open public kitchen with wood-fred pizza oven. The design extends to the exterior with a 4,000 SF second-floor stone terrace dining area with granite fire pits. Full-scope project from schematic planning, through design development, furniture specification, construction documentation, and construction administration.